We have just had SSE replace the wooden power pylon in the field behind us. As soon as the workmen had gone - the starlings turned up in force. Brand new wires to sit on! 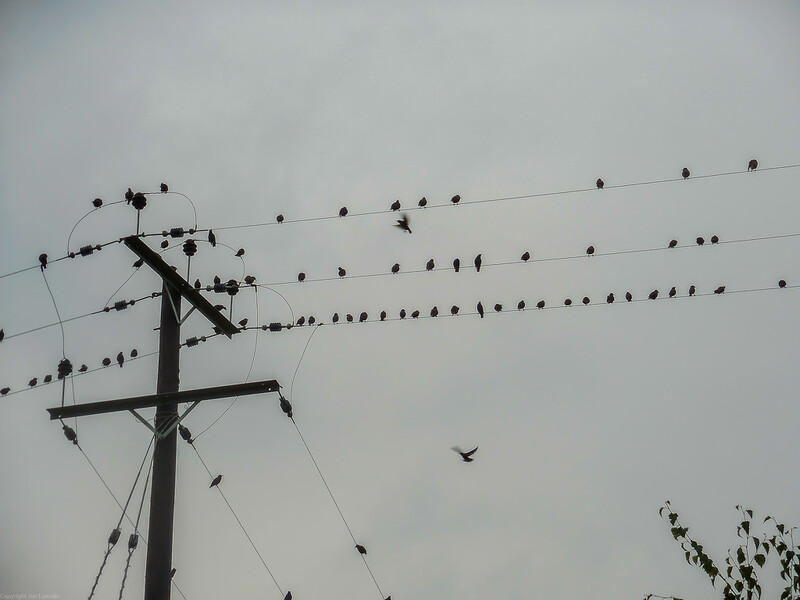 What is it about birds and wires? A real line-up, don't they love it!